It is known that Pawan Kalyan who is the founder of Janasena party is currently busy with the party works. As the elections are also approaching in Andhra Pradesh, the actor turned politician is leaving no stone unturned in grabbing the attention. But because of some personal reasons, the actor has took some time off the politics and went to Europe. It is known that Pawan Kalyan’s wife Anna Lezhneva is a Christian. 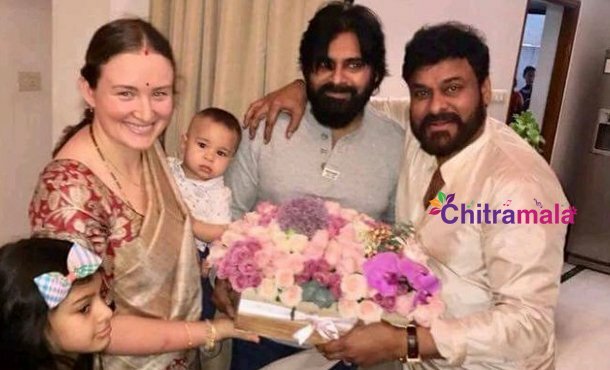 As their son Shankar Pawanovich has to undergo some Christian formalities, on Anna Lezhneva’s request Pawan Kalyan went to Europe with his family. They will complete the formalities by Christmas and will return back to Hyderabad after the festival. As soon as Pavan reaches Hyderabad he is going to get back to his political works and is going to be available for his party works in Amaravathi.